Don’t just learn history, learn from history. 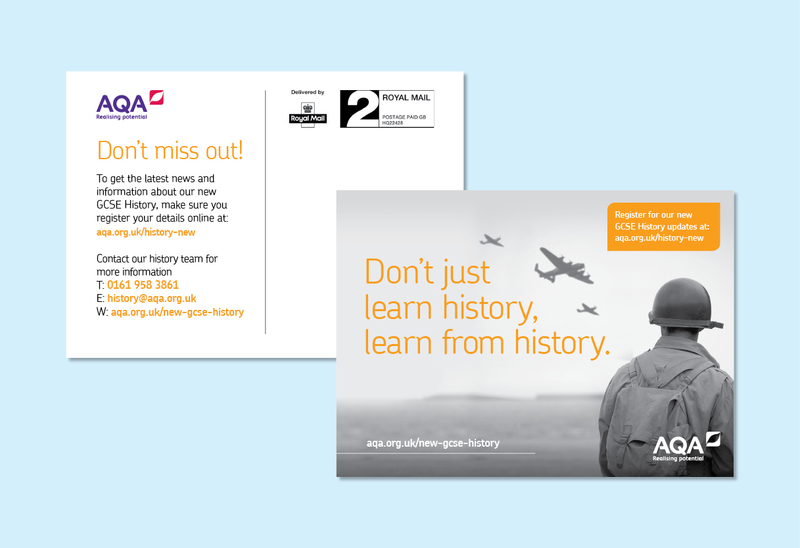 That’s the key message of our campaign to promote AQA’s A-level History qualification to schools. 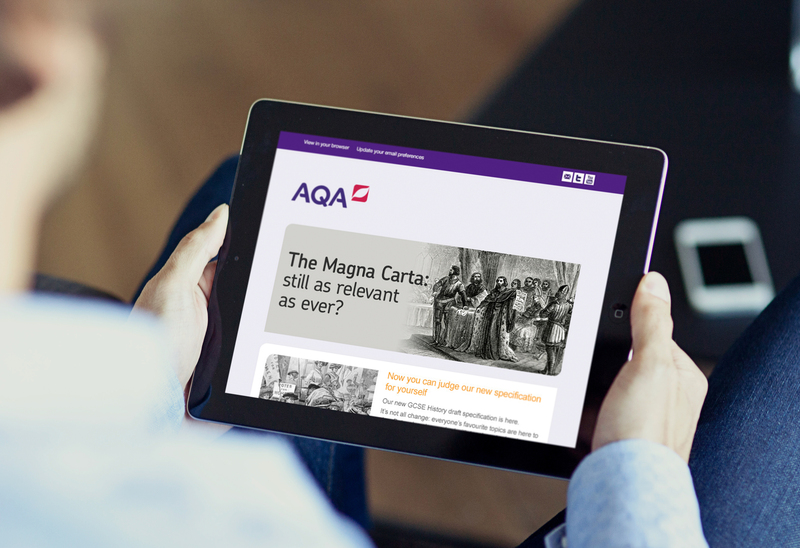 History teachers want an A-level that emphasises the critical thinking side of their subject. Reviewing sources. Drawing conclusions. 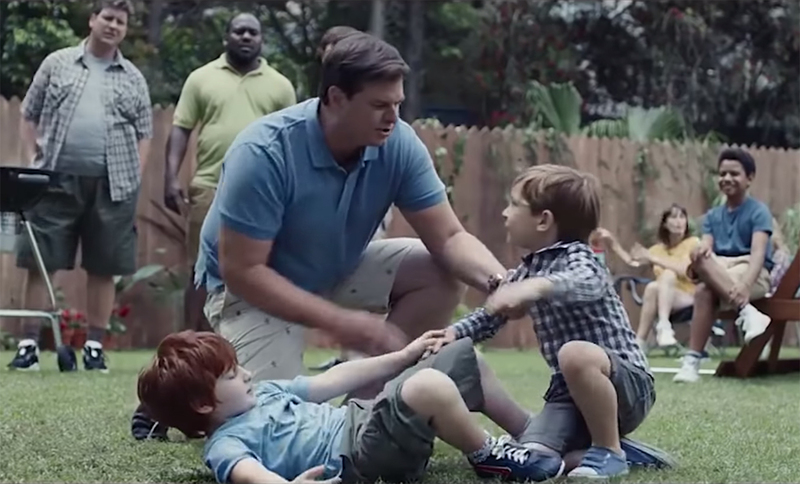 Taking nothing at face value. 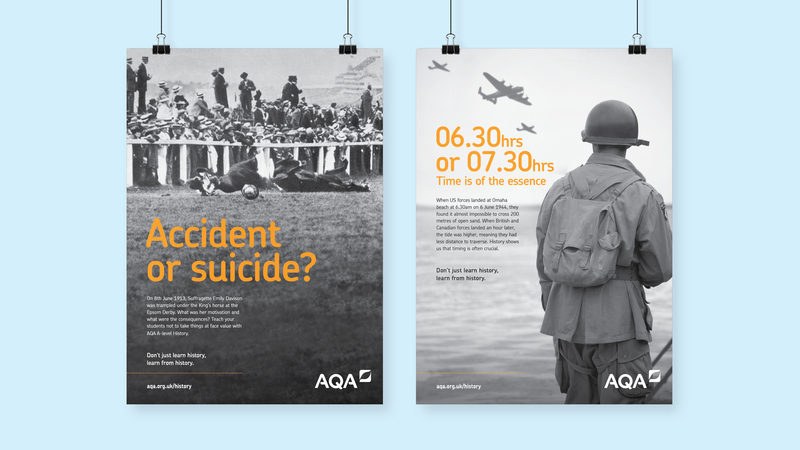 Using archive imagery and provocative headlines, our campaign makes it clear that AQA’s A-level goes beyond a black and white view of historical events. The digital-first campaign used social media activity to drive school staff to a bespoke landing page. Posters and other print assets backed up the campaign offline. 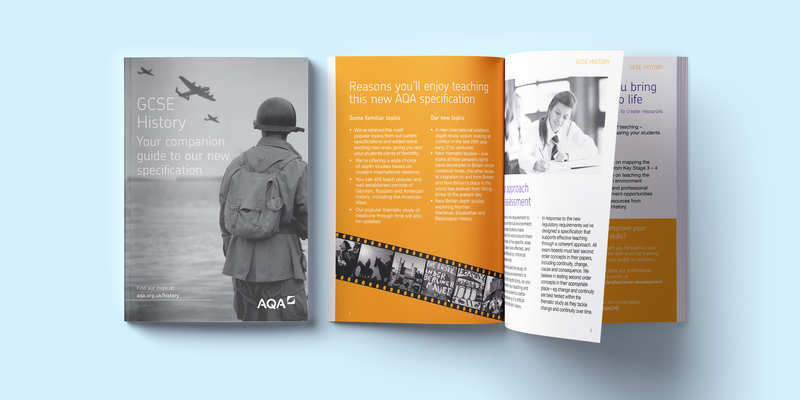 This is just one of many campaigns we worked on with AQA over several years as the exam board’s marketing partner.